Need an inexpensive, yet effective spa cover ? The spa soft cover is an alternative cover for portable spas. Air bladder inside adds support and increases insulation value. Helps keep heat in and unwanted visitors out ! 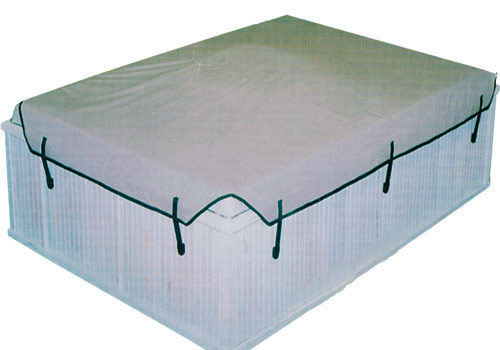 Can be used in conjunction with a variety of Thermal Blankets for maximum heat retention. You can also use it to help protect your expensive hard thermal cover from unwanted damage and wear and tear. Please note: This cover is not to be used as a "replacement" for a regular hard thermal spa cover. Use this in addition to your normal spa cover. **This is a Non-Stocking item. They are all made to order. Please allow an extra 7-10 days for delivery.